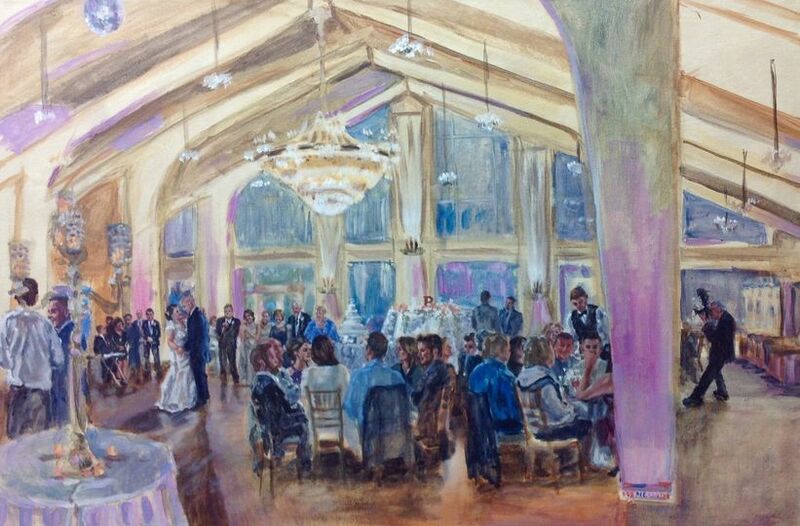 Live Event Painter-Sheila Foley, based in Woburn, Massachusetts, provides unique live event painting services. 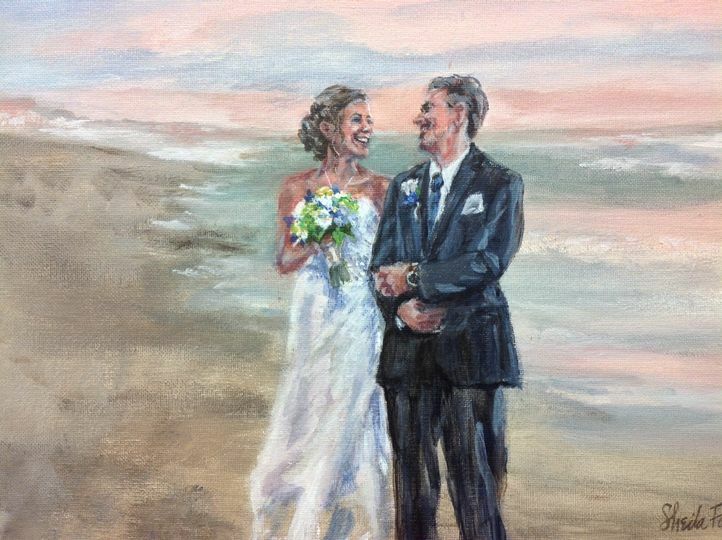 New England couples can forever remember their special day with Sheila’s dreamy paintings. As a full-time artist, she specializes in visual storytelling, live drawing and painting, portraiture, and plein air painting. 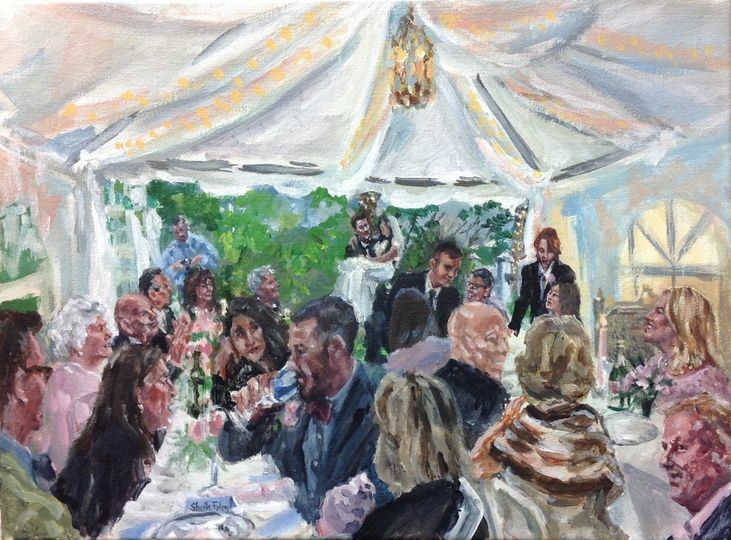 On your big day, you and your guests will be entertained by an artist at work as she captures your memories on canvas. 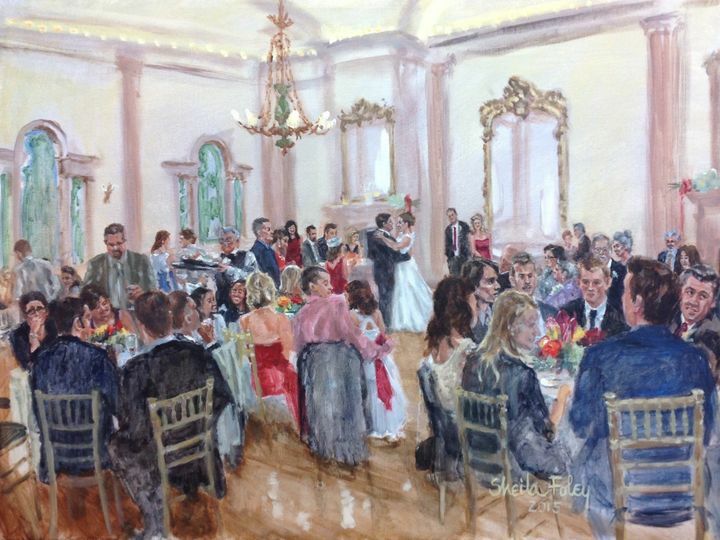 While Sheila Foley mainly paints during wedding receptions, she can also do individual portraits or paintings after your wedding is over. 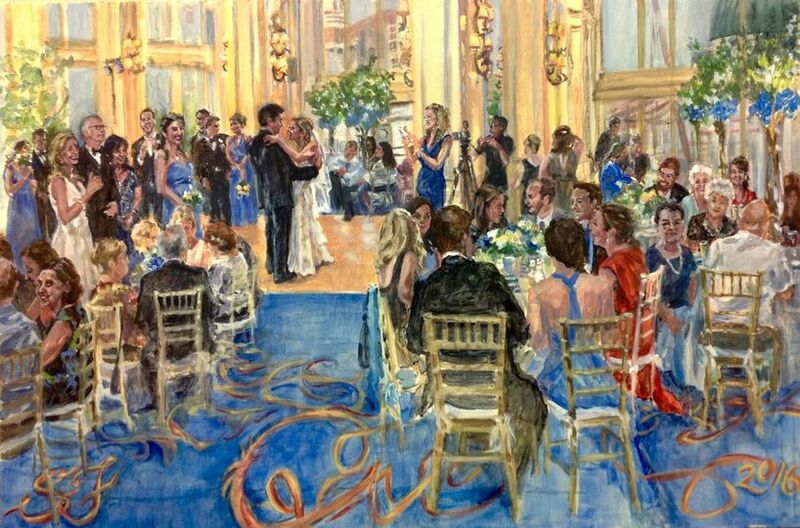 She can even paint from wedding photographs, with permission of the copyright holder. 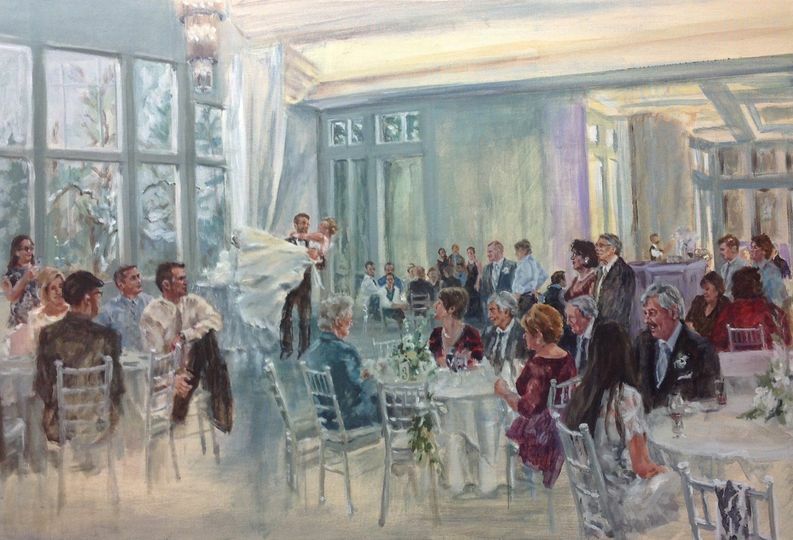 Her custom and personalised works of art reflect the spontaneity of a couple’s wedding day. Couples can request her standard size of 18 by 24 inches or If you are looking for something a bit smaller, she also offers a 12 by 16 option. 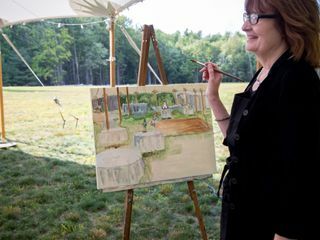 We loved working with Sheila Foley as our live event painter. We met with Sheila at her studio to take a look at her paintings and to give her our vision for our wedding day. Sheila is kind, personable and professional. She truly was able to envision what we hoped for our wedding painting. 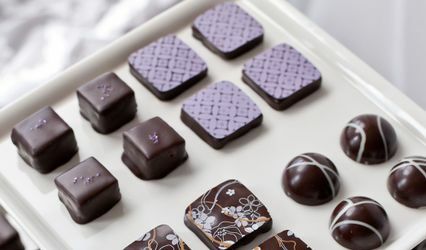 We haven't seen our finished product yet but know that it will be worth the wait. 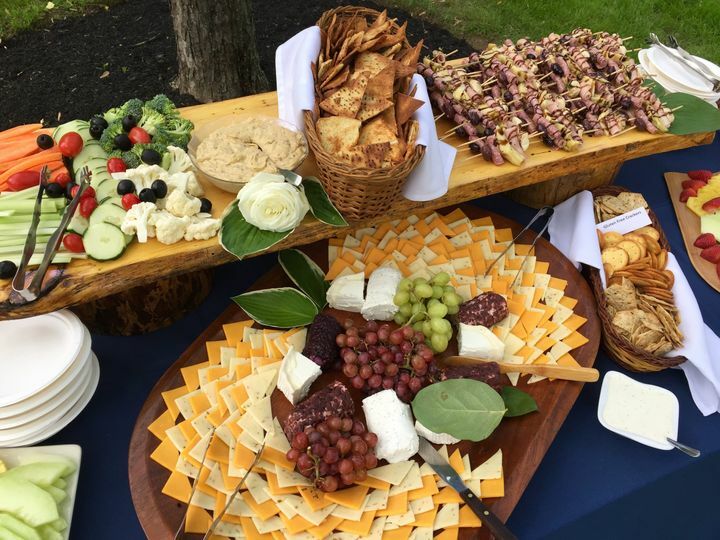 What we saw so far at the reception was fabulous. Thank you so much for working with us! My fiancé and I had a private ceremony and a small reception. We didn't have a dance floor or a dj so I thought we needed something more for the entertainment factor of the wedding. I did some research and came across the idea of a live painter. I loved the idea and thought if I could have the ceremony painted, it would allow guests at the reception to see how the ceremony looked even though it was private with just immediate family. I was immediately attracted to Sheila's style because it had the "painting" feel but it also had such realistic look to the people. It is really amazing that with just a few brush strokes she can really capture the facial features. I contacted Sheila and she was able to work within my budget and even offered me a canvas size that was smaller than her traditional size in order to stay within my budget. I met with Sheila at the venue prior and she was always accommodating and willing to setup wherever and however we decided and very flexible with everything. She always gave me good input and was also always prompt when responding to my numerous emails. The day of our wedding everything turned out so beautifully. Sheila was set up on the balcony right outside the french doors so I was really able to showcase her work. I received so many compliments on her painting and the whole idea of having a painter. Many people said they never have seen anything like that before and thought it was just the coolest thing-even people who didn't attend the event and saw the photos after. 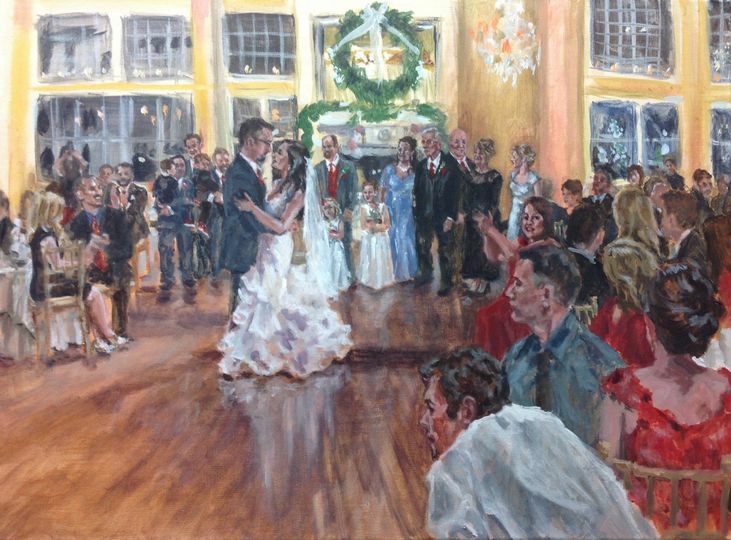 Sheila was able to finish the painting at the wedding so we were able to take it home that night and we absolutely love it. It looks just like us and just like the ceremony actually did and it is something unique that we will have forever. 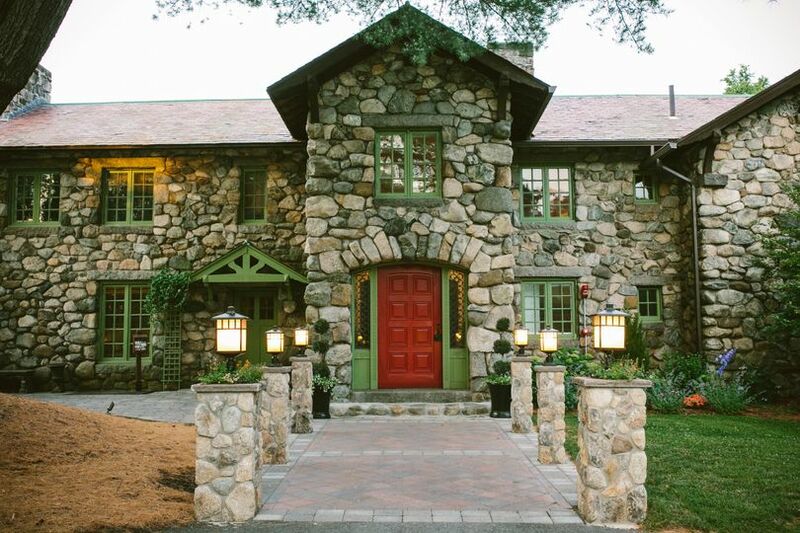 If you are looking for that WOW factor for your wedding, Sheila's services are for sure it! Sheila is such a warm and friendly person and we are glad she was part of our day. She really bonded well with my family and guests. Thank you. Thank you so much, Shanon and Rob, for letting me be a part of your intimate wedding. I enjoyed it immensely. Your families and friends were so supportive. I feel like I got to know everyone. I am so glad you're happy with the painting. How lucky we are that Sheila Foley commemorated our daughter’s and son-in-law’s wedding. I had read an article in the Boston Globe newspaper (June 12, 2014) about her and was amazed to know that such a service existed! I looked her up, communicated via email, then we met and connected. Sheila was a joy to be with before, during and after the wedding. My husband and I met her at her studio and got to see a few pieces in progress, as well as her finished art. We liked the concept and really liked Sheila. 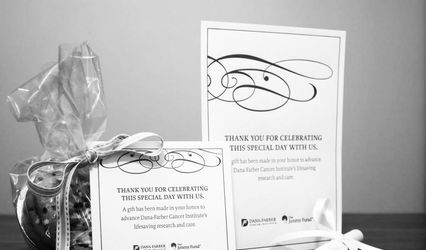 She was caring, thoughtful and a true professional. Her excitement mirrored ours. It was easy to book her services and she had some suggestions which we liked and made part of the experience. Our guests were intrigued and were able to observe and chat with Sheila. She was unobtrusive yet still caught the splendor of the people and the event. When we presented the painting to the newlyweds, we took a picture of their reactions. They reacted as we did: breathlessly surprised, delighted, amazed. It was a wonderful gift to them. Thank you so very much, Sheila. You are a special person with a great talent to be able to preserve a special moment in peoples’ lives. We worked with Sheila for our 10 Year Anniversary party. She was able to accommodate us last minute, and was always to quick to respond to our questions! The final product was a gift for our owner and it was incredible. 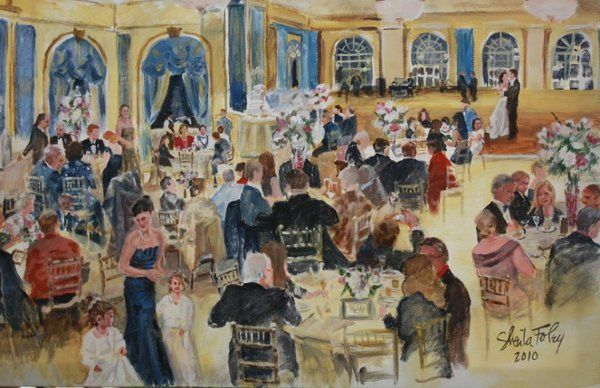 Sheila truly captured the essence of our property and ambiance of the evening. We would certainly recommend her to any of our clients. 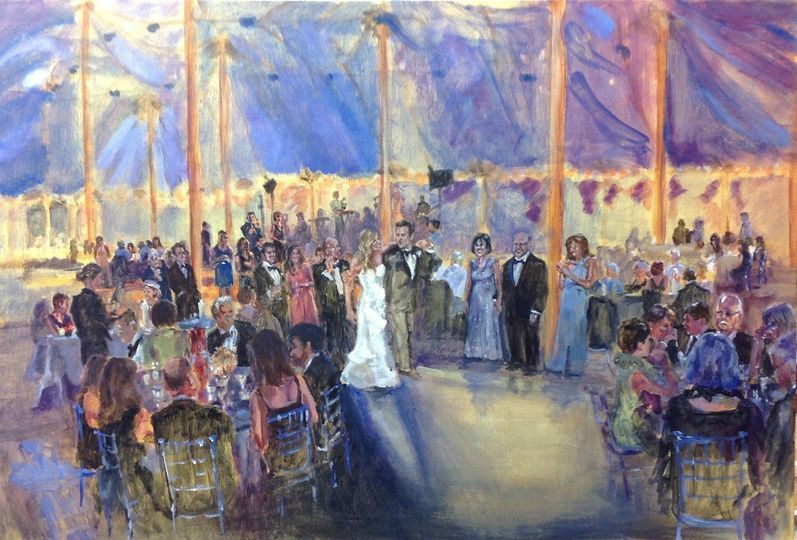 When Sheila Foley arrived under the wedding tent, her eye immediately found "the spot", setting up easel and paints, to capture the occasion. She added a magical presence, a unique "real time" artistry, enjoyed by everyone that evening....and forever on canvas, by the Bride & Groom! 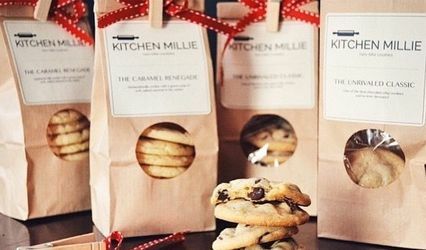 We hope to see her at all of our weddings and settings!